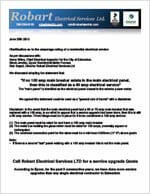 Robart Electrical Services Ltd. 60 Amp Service Upgrades | Robart Electrical Services Ltd.
You've got questions about residential service upgrades, we've got answers! Do I need to upgrade my current service? What happens when I buy an older house? How can I tell what service size I currently have? 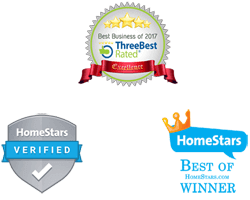 What's involved with a residential service upgrade? What will it cost to upgrade to a 100 amp service? From the mid 1930's to the mid 1960's, builders in Edmonton were installing 60, or 70 amp electrical services in residential homes. Prior to that time, 30 amp power (with knob and tube wiring) was the typically sized service coming into the home. 60 amp electrical services may have been good enough back then, but with today’s appliances, older homes are over stressing small services. With pressure from the insurance companies to withhold insurance for homes having an older service, upgrading the total capacity of your home to 100 amps prior to listing it for sale, removes any concerns buyers may have. When it comes to the purchase, or sale of a home, anything other than a 100 amp service is fast becoming a issue that you must be aware of. If a home is not insurable, the mortgage broker can not issue a mortgage for it. Please see below for helpful documentation on how to how to identify a older service. The Insurance providers have decide that they want residential services upgraded to the minimum 100 amp capacity. What this means, is that if you are buying an older house with a 60 amp service, it will have to be upgraded in order to get insurance. Unless you can find one of those insurance providers that will give insurance with a higher than normal premium, but these are far and few between. When buying an older home, built prior to 1965, chances are you will have to deal with upgrading the basic power to the house. There was an article (bulletin #AM96-04) released by the Insurance Bureau of Canada calling for "common sense in the evaluation and underwriting of homes with 60 amp services". 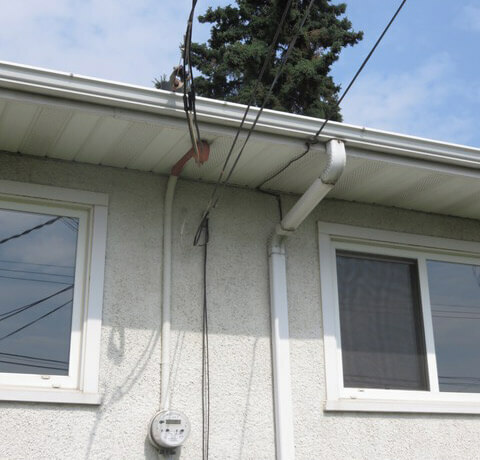 Robart Electrical Services Ltd., in the last 2 years alone, has upgraded over 250 residential services and in my experience, the underwriters with the local insurance companies have chosen to disregard this recommendation. It has been obvious that the majority of the underwriters in the area have chosen to make a blanket policy that includes all 60 amp services be upgrades, including town houses and condo's. Having said that, there are a couple of insurance companies that have come to light, that have decided to allow condo's and town houses to retain the 60 amp services. Others have decided that an extra large premium will be charged if a 60 amp service was to remain. The Canadian Electrical Code requires that any residence, that is 80m squared or smaller excluding the basement, be 60 amp rated. Because of the fact that these homes were built a long time ago, and passed their electrical inspections at that time, they are whats called "grandfathered". This means that what exists, can exist, except now , the insurance companies, the underwriters have decided, that if you sell your house, the house must be upgraded to 100 amp, before they will assure insurance to the new buyers. Now this concerned me, because if the house was not insurable, then the mortgage broker can not issue a mortgage, catch 22. In 2014, I called the Insurance Bureau of Canada and spoke with a Mr. Roy Dickson, a statistician for the IBC. I asked the question, why has the IBC chosen to enforce the upgrading of the electrical service from 60 to 100 amps. His response to me was "to reduce the risk of claim". So I took the conversation one step further and asked the next question, "how many fires in Canada, have there been relating to 60 amp electrical services over the last 10 years"?. His response to me was "none". In 2018, when you buy an older house, the realtors have now had enough experience to know, that if there is a 60 amp service in a house older than 1965, that it needs to be upgraded. If your the seller, the concern comes with the fact that you loose 80% of your buying clients if there is a 60 amp service exiting. Home Inspectors are usually knowledgable enough to know if it is a 60 amp or 100 amp service. 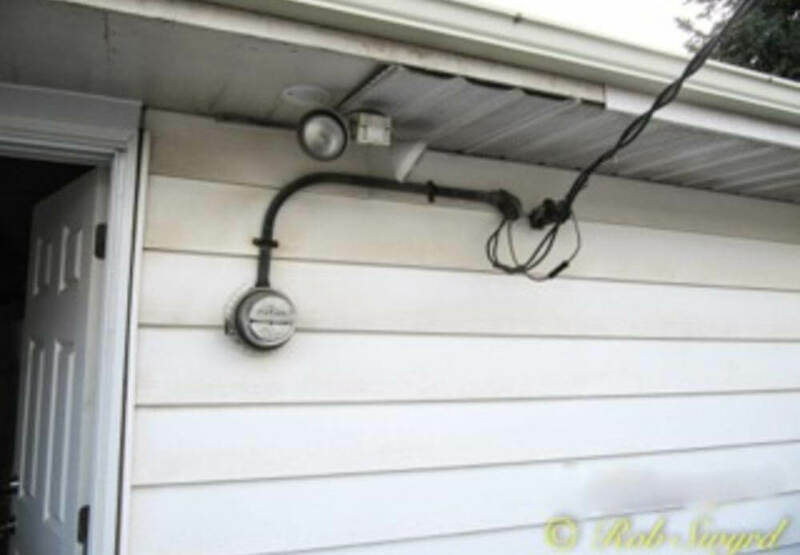 When a Home inspector or realtor suspects a 60 amp service, what happens next? (The service site needs to be verified, this is a topic for a future article.) Either the seller has to upgrade the service prior to listing the house, or arrange for the upgrade need to be done and by leaving documentation to this fact with the MLS listing, the seller is assuring to the buyers that this speed bump in the negotiations process has been looked after. You will want to get this done by a reputable contractor because your house sale is on the line. If your the buyer, and your realtor or home inspector finds a 60 amp service, then your position is a little different than the sellers. You want to ensure that this is upgraded so that you can get insurance and a mortgage on the home. What you want to do is ensure that whoever does the upgrade, that they be competent and get the permits required by the city or county to ensure the job is done properly. I have seen a lot of butchers out there who bust open walls and destroy stucco saying "OH well". Be mindful of who you choose. Just as a side note, in the days of 60 amp services, the house wiring that was being used at that time did not have a ground wire incorporated into it. What this means, is that the receptacles, light fixtures and switches in the house were not grounded. The Canadian electrical code has provided a safe way to protect these circuits, and the humans that use them. Canadian electrical code rule # 10-400 says that ungrounded circuits are acceptable if protected with Ground Fault detection. It is becoming more and more common lately that during negotiating process on the sale of a home, that the "buyers realtor" ask for $10,000.00 off the selling price of the home because of the 60 amp service. In reality the service upgrade will generally cost the client less that $3,000.00. On any electrical panel, there is a sticker that contains the manufactures name and the electrical characteristics of that particular piece of manufactured equipment. One misconception until recently amongst realtors, inspectors and homeowners, was that on the sticker was printed 120/240 volt 100 amp rated. It was believed that this indicated the size and rating of the incoming electrical service, but that isn't the case. That sticker is the rating of the piece of equipment only. It wasn't until the late 50's early 60's that the utilization of main breakers came into effect. I have seen 60 amp then 70 amp main breakers being used for a couple of years in the early 60's. 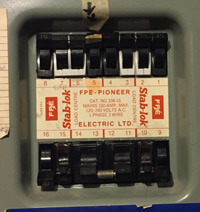 Then about 1965 +/-, the 100 amp main breaker was introduced. Today, a 100 amp service is only acceptable if there is a 100 amp main breaker existing in the MAIN electrical panel. 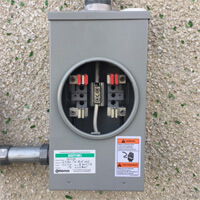 "If no 100 amp main breaker exists in the main electrical panel, then this is classified as a 60 amp electrical service"
Clarification as to the amperage rating of a residential electrical service. When a 60 amp residential electrical service is upgraded, there are many parts that must be addressed. An electrical permit is the first thing that must be obtained. This permit allows an impartial city inspector to ensure that the job is done safely and to code. A typical conversion takes one day and there is no concern for freezers or fridges. A typical conversion starts with our electricians arriving in the morning between 8:00am and 9:00am (depending on the lineup at Tim Hortons). The utility company arrives between 9:00am and 10:00am to disconnect the exiting power. The work is started and the city inspector arrives for his inspection, usually between 1:00pm and 2:00pm in the afternoon. 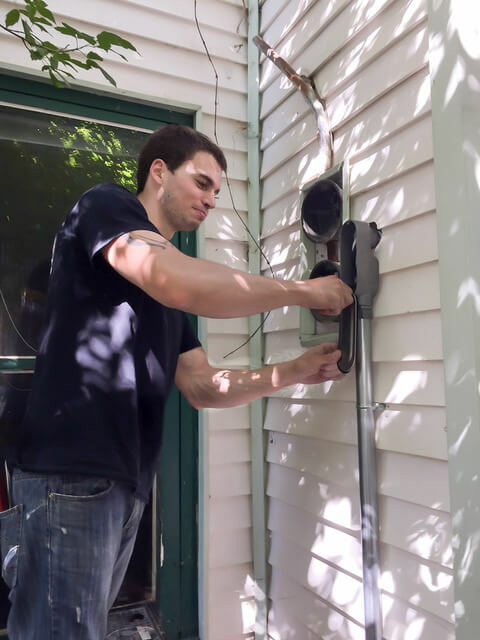 If the installation is acceptable, he calls the utility company instructing them to return and turn on the power. An electrical panel for a 60 amp service came in a number of different styles and locations. From the 40's until the late 50's, the electrical panels were usually installed by the back door, above the 3 steps leading up to the kitchen. Other locations included in the back entry behind the door, and in some styles, in the kitchen cupboard. Most panels didn't move downstairs until very late 50's and into the 60's. The overhead wiring (from the alley to the house) since the early 1940's has always been rated for 100 amps. When an upgrade from 60 to 100 amp is performed, this wire is very rarely changed if it is long enough to reuse. Of particular concern when upgrading a service, is a small metal box called the meter socket. This is the box that the power meter directly attaches to. 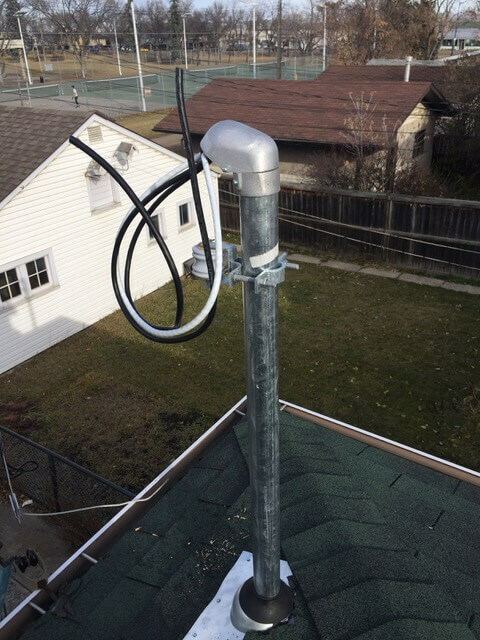 It is mounted on the wall, usually at the back of the house, and is connected to the incoming overhead power lines by a metal or plastic pipe. This box is specifically sized to accommodate the increased size of wire and to allow for heat disbursement. All of this equipment must be rated and thus upgraded for the size of the new service ampacity. After having a service upgrade some of my breakers are tripping? Your company came over and did a 60 amp service upgrade at our house. Since that time we are having breakers trip. We aren't doing anything different and that was never a problem before. Is there something wrong? When we do a service upgrade, and add a new 100 amp panel, we sometimes leave the original panel as a secondary panel. We always offer the option to change out the old breakers to ones of newer technology. The original breakers being 60 - 70 years old tend to deteriorate with age and do not always trip when they are supposed to. So, if you overload a breaker and for years it doesn't trip, it is never noticed. By replacing old breakers with new technology, the overloaded breaker will trip immediately and bring the problem to your attention. If the tripping persists, you will need to rearrange your appliances to different spots, and have us install dedicated circuits to accommodate the loads. 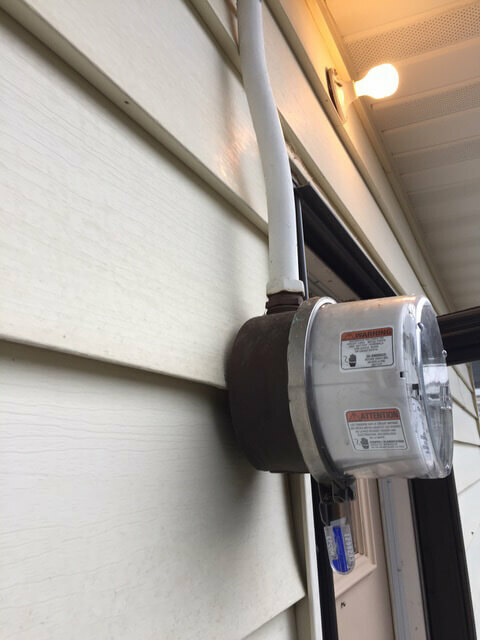 I have low hanging electrical service lines to my home, is it safe? Help, should my children be able to reach up and touch the wires coming from the alley to my house? Actually, those wires are very dangerous at that height. you should immediately call us to provide a quotation to have them put to the proper height, away from small grabbing hands. This is a serious concern. Over the past 2 years we have upgraded over 250 residential services from 60-amp to 100-amp. We are generally regarded in the industry as having performed the most 60-amp service upgrades in the city of Edmonton. Give us a call at (780) 238-8185 (or fill out our online form) if you need highly experienced experts on your side!